For an optimal healthy and high-mobility lifestyle, chiropractic care should be a consideration. However, weekly visits are not a hard requirement. With a thoughtful, strategic chiropractic care program, adjustments also get “adjusted,” if you will. If you are in pain, the first phase of treatment is focused on that, and you may be seen up to 2-3 times a week for a few weeks or so. Afterwards, adjustments begin to phase out into more of a “healthy maintenance program,” typically resulting in a monthly visit. While pain may be gone and you are feeling much better, your spine is always on the move. With a monthly check-in, you can keep your spine from reverting back to the position it was at the onset of treatment. Another misconception that sometimes comes up is that chiropractic care and massage therapy are alternatives, when in reality, they support two very different treatment methodologies. Massage therapy is an amazing complement to chiropractic care, manipulating muscles and soft tissues of the body. 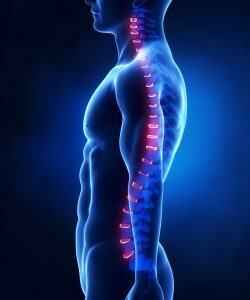 Chiropractic care manipulates the spine. When your spine is aligned properly, all of your nerve endings are able to communicate at their highest potential, helping the body to heal itself, and also helping the body with lifetime mobility. The combination of both practices is ideal–if at all possible, have both! At The Well Chiropractic Clinic, we believe in our motto–Live Well, Be Well, Age Well. Chiropractic care is a valid and viable care program for the long-term health of both you and your family. We can help!